What was previously known as the ESPN Zone Bar at FedEx Field was turned into the Audi Club with this unique and exciting transformation of nearly 13,000 square feet of interior space. The project was especially challenging with the coordination of trades and sequencing of work in a very short work schedule. A custom-built radius and angled curved wall also factored into the complexity of the project. HSU was able to keep the existing bar operational during the 2 pre-season games throughout the construction process with extra precautions taken for dust mitigation and coordination with the Redskins staff. 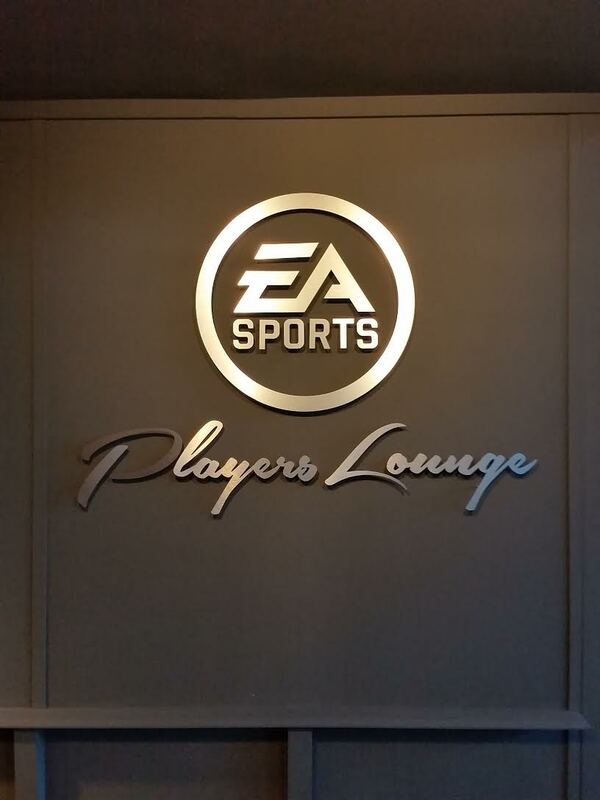 This bar is now known as the EA Sports Players Lounge.